You either got really excited just now or removed this site from your RSS feed. If you’re still hovering over the delete button in consideration of the latter, wait for a minute! Sure, you’re sort of right to wonder why people want to eat something politely named stinky tofu, and fine, you haven’t tried natto but even the sound foreshadows the “no thanks” with which you might refuse it, but you love Morrocan tagine, right? And realize the quoi in its je ne sais quoi is the preserved lemon, right? You order extra pickles on your burger sometimes, and like pickled radishes with your falafel or lime pickle with your curry, yes? And even if none of these apply to you, look up “fermented salsa” in your browser, like right now. Seriously. People are losing their minds over the stuff. You want to get in on that, at least, I know it! And for those of you who have been meaning to make everything from kimchee to kombucha for ages, we’re going to do this right. As with the le sauce baking academy, I promise to research the hell out of the method and the recipes out there so we understand fermentation, but mostly so that we’ll end up with the most ridiculously delicious, complex, in-your-face brined delicacies ever. 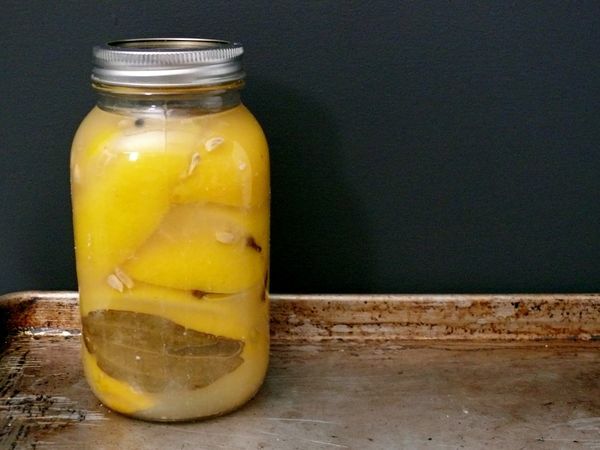 I was so damn excited to preserve my first batch of lemons earlier this week–but they’re not going to be ready for 30 days! Make this your weekend project, so we can suffer together, please? By the first weekend in March, we could be making the most awesome vegetable tagine together. See you soon with another real pickle.